ROOFTOPS CLOSED FOR RESTORATION IN 2019. 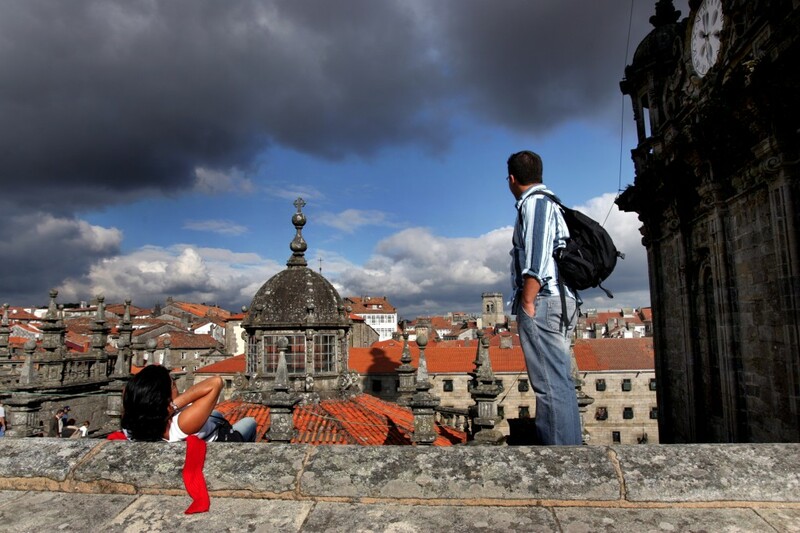 The visit to the Cathedral rooftops includes two consecutive guided tours: the Archbishop’s Palace of Gelmírez and going up to the church’s rooftops. You enter via Gelmírez Palace, considered one of the main civil constructions of the Romanesque period in Spain, and the centre of the feudal power wielded by the spiritual shepherds of Santiago and the surroundings. It owes its name to the archbishop that ordered its construction, after his first palace was destroyed up to three times in the same year of 1117, by popular uprisings against royal and religious power. The new building, with access to two squares, would become accommodation for receiving with dignity kings, princes and magnates that visited Santiago. With Gothic and Renaissance additions, and a baroque façade covering it, this Romanesque place features an Armoury (12th-13th c.), stables and a hallway from the 13th century, where the archbishop and knights got off their horses; a 12th-century kitchen and above all the grand Synodal Hall, built in the 13th c. for the prelate’s audiences and receptions. There, an amazing 32-metre-long ribbed vault stands out; its corbels are decorated with scenes from a lively medieval banquet. After going up the narrow stairs of the tower, we see the Cathedral’s impressive stepped rooftops, which are all included in the tour. This stone heaven gives us a unique opportunity to understand the church’s different construction stages; to have its towers, domes and pinnacles within touching distance and enjoy the unbeatable perspective of the monumental squares. 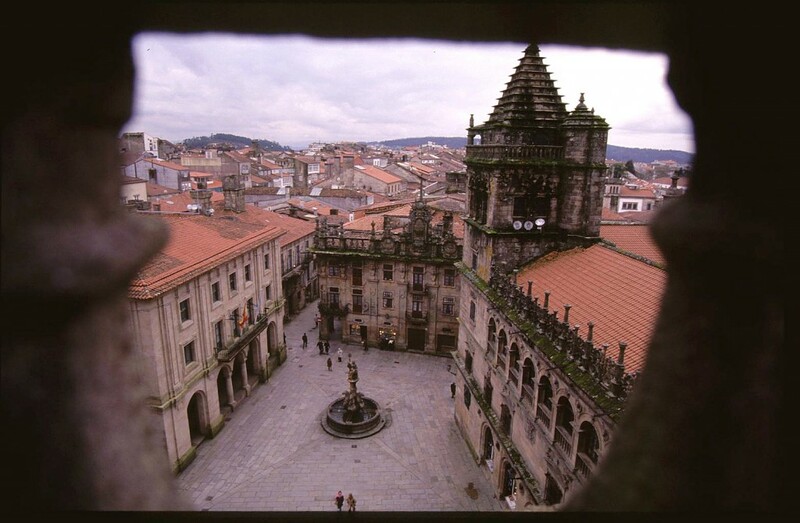 At an altitude of almost 300 metres, 30 metres above Plaza del Obradoiro and with a 360-degree field of view, your eyes wander over the city roofs and disappear into the surrounding hills in an unforgettable view.